We often hear about the Turkish population of 80 million and Turkey’s powerful armed forces, the second largest in NATO, after the United States. Sometimes things are quite different from what they seem to be. Especially in the case of the Turkish Army, one can easily say that the created impression is totally false. In fact it is a myth created by the Americans since the Korean War. Quite often we become observers of reports and comments both in international bibliography, that present a totally overestimated and false impression, concerning the Turkish military performance. It is the outcome of a myth about the “fearsome” and “outstanding” Turkish Army, which has been skillfully or naively created on purpose, having as a result to totally alter the truth. It is a case that deliberately alters the historical past. In fact the truth knocks down the image of the “brave”, “fearless” and “skillful” Turkish soldier. The myth’s start about the modern Turkish Armed Forces is identified during their first engagement with the enemy in the last 60 years. It took place during the Korean War, where it is totally revealed, that an almost useless military formation, achieved beyond its own will to create a whole legend about a supposed Turkish “art of war”. This paragraph includes as we will see all the parameters of the legend about the almost “superhuman” Turkish soldier who is good in every aspect, even when defeated and being captive. The obvious question that comes in mind, concerns the significant fluctuation in the Turkish battle-worthiness in the 20 years separating Korea and Cyprus. Perhaps after all no difference existed? Perhaps even in Korea the Turkish fighting level was as low as in Cyprus? Examining certain facts, we believe it proves, that reports like the ones preceded are not based on historical facts or studies, but constitute simple reproductions of impressions and generalized comments that are conceded with no limits for reasons concerning political expediencies or they just form fantasy creations originating from ignorance and illiteracy, in order to impress the ignorance. The Turkish Brigade arrived at the port of Pousan on 18 October 1950 and it was officially titled “Turkish Armed Forces Command”. The brigade’s body, consisted of the 241st Infantry Regiment including three Infantry Battalions, one Field Artillery Battalion, a Signals Platoon, a Pioneer Company, a Transportation Company, a Medical Company and an Ordnance Company. There was a total force of 5,455 men. Brigadier General Tahsin Yazici was the Commanding Officer. On 1 September 1951, the Turkish Brigade was replaced for the first time, after a staying period of 10 months in Korea having a new CO Brigadier General Sirri Acar. Replacements took place also on 30 July 1952 and 4 September 1953, while the final departure took place in May 1954. Those replacements concern likely the brigade in its total, since it seems that it was replaced every time by a fresh one, coming from Turkey. When the Turks arrived at Korea, were poorly equipped, since their equipment was outdated in its total. The soldiers were wearing the British “battle-dress” uniform that was recently adopted by the Turkish Army, heavy military overcoats, British Mk2 helmets and individual leather-made webbing of German origin. 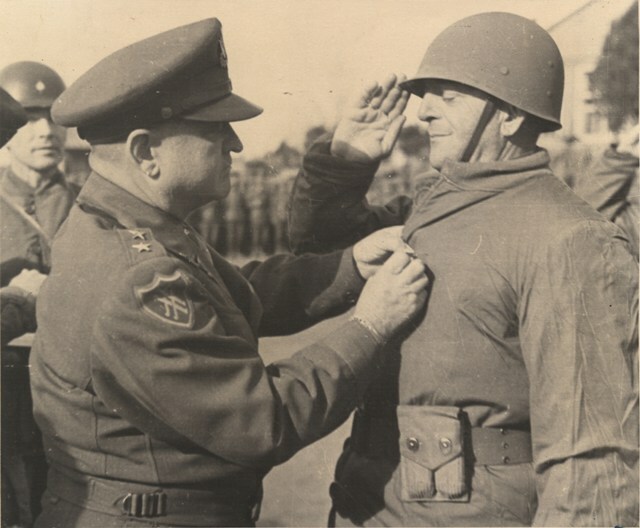 Before enter the fighting in November, they just managed to get equipped with modern US arms and standard US M1943 clothing, which was not issued immediately. Gradually, the Turkish clothing and equipment was replaced with US made and especially the brigades that arrived later in Korea were totally issued with US material and arms. It is astonishing to observe that, the Turkish myth, starts as soon as the Turks arrived in Korea. It is true, that during their arrival they were given a lot of publicity for a number of reasons that have to do mostly with the observer’s psychology and aim. It has to be taken into account, that during that time, Turks were more or less unknown to the American people and even more concerning their fighting skills. The Turkish Army had not fought since 1922, so an average observer, could form an opinion only through a rough review of its history. The fatal influence of the Ottoman Empire history and also from the First World War formed a picture of a “capable” and “brave” army with tough reputation. But this reputation is based mainly on slaughters and genocide’s of civilians or paramilitary formations, for which Turks are notorious to their neighbors. A third party observer who has not made further studies can not have a direct perception and naturally forms a wrong picture. In this way we have the first evidence who led to the creation of the Turkish myth. The problem that the Allies would face with the Turks was easily understood having them arriving in Korea. Only a few of them, mainly officers were speaking English, while on the other hand no American was speaking Turkish. Therefore, the level of contact and communication between the Turkish Brigade and the IX Army Corps Headquarters where it was attached, was particularly poor up to non-existing, at least during the first stages. Part 2 will be published tomorrow! 1) Thomas Nigel/ Abbott Peter/ Mike Chappel, The Korean War 1950-53, Osprey 1986, p. 21. 2) Ntokos Thanos/ Protonotarios Nikos, The Turkish military power. A challenge for the Hellenic National security, Konstantinos Tourikis Publications 1994, p. 49. 3) Stokesbury James, A short history of the Korean War, 1988, p. 238. 4) Stokesbury James, A short history of the Korean War, 1988, p. 299. 5) Clay Blair, The forgotten war. America in Korea 1950-1953, New York Times books 1987, p. 451. 6) Clay Blair, The forgotten war. America in Korea 1950-1953, New York Times books 1987, p. 451. Antony Farrar, The edge of the sword, 1954. Robert Leckie, Conflict: The history of the Korean War 1950-1953, GP Putham’s Sons 1962. Raymond Cartier, The Afterwar World History, Volume A 1945-1953, Papyrus/Parismatch 1970. Hellenic Army General Staff / Military History Directorate, The Hellenic Expeditionary Force in Korea 1950-1955, Athens 1977. Nigel Thomas, Peter Abbott, Mike Chappell, The Korean War 1950-53, Osprey 1986. Clay Blair, The forgotten war. America in Korea 1950-1953, New York Times books 1987. Russel Spurr, Enter the Dragon: China’s undeclared war against the US in Korea, Newmarket Press 1988. James L. Stokesbury, A short history of the Korean War, 1988. Thanos Ntokos & Nikos Protonotarios, The Turkish military power. A challenge for the Hellenic National security, Konstantinos Tourikis Publications 1994.